Zamir Telecom, simplecall’s parent company, announced the details of its new MBA fellowship program it has developed with the MIT Sloan School of Management, which includes a $25,000 per fellow grant to two MIT MBA students who come from, or have interest in the technological advancement in, emerging economies in Africa, Asia or the Middle East. The two Sloan fellows will each receive the grant annually to help offset their investment in their education. They will also be provided with a paid internship and a one-year employment contract upon graduation. Zamir Telecom said it sees the regions of Africa, Asia and the Middle East as future hubs for innovation and wants to enable individuals with extraordinary intellectual curiosity and talent to develop and realise their potential as future leaders and innovators in the technology sector in these places. 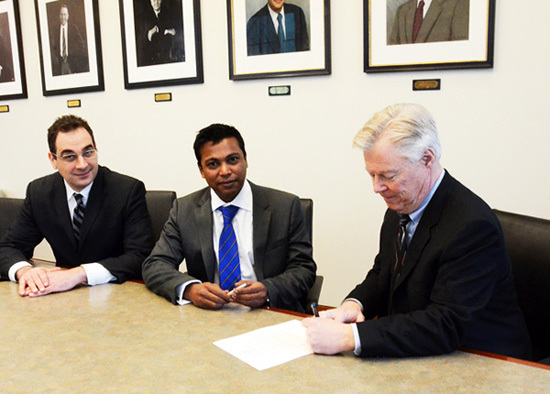 The Managing Director of Zamir Telecom, Naufal Zamir, and the Dean of MIT Sloan School of Management, David Schmittlein, signed the agreement in Cambridge, Mass. on Jan. 16 and have said they are looking forward to building on their new relationship.